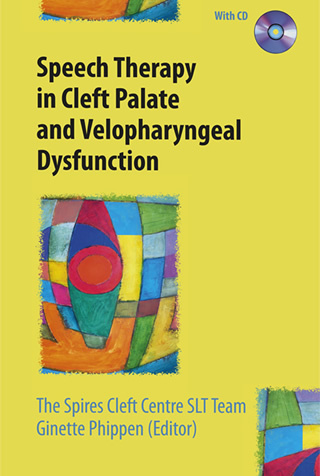 This is a practical and accessible handbook of evidence-based practice for the assessment and management of speech disorders relating to cleft palate and VPD. The book specifi cally draws on UK expert knowledge and practice with reference to research and current clinical procedure, and the accompanying CD provides many useful resources such as assessment frameworks and checklists, phonetics resources, treatment plans and decision-making aids. ......If you are looking for a comprehensive, yet easy to follow guide to speech problems caused by a structural defect such as cleft palate, then this is the book for you. Read the International Journal of Communication Language Disorders review. Free download of resources to accompany the book available here. Ginette Phippen is Lead Speech and Language Therapist at The Spire Cleft Centre, Salisbury NHS Foundation Trust. She regularly participates in workshops and training for community SLTs and is a Lecturer at Reading University.